The Speedo Burst Jammer is the latest fun competitive swimwear from Speedo. Speedo has dominated the competition since their beginning and now with the Speedo Burst Jammer competitive swimwear. Speedo has created the most desirable line of swimsuits for any swim team looking to transform into style and comfort in 2016. Anyone who coaches or participates in competitive swimming knows your team needs the best swimwear. The perfect suit can excel your swimmers to a whole new level of speed and endurance. Speedo has made just that with the Speedo Burst Jammer line of competitive swimwear. This swimwear features a tight and comfortable fit that doesn’t produce any drag on your body, which can cut milliseconds off their race times. Even milliseconds are just as important in swimming as scoring a basket in basketball or a touchdown in football. Not only do you want your team in a swimsuit that enhances their skills and abilities, but you want them to look and feel like superstars at every meet. Speedo has gone the extra mile to create a swimsuit that is built to make its user pop out, with a vast array of colors available. This allows you to find the closest match to your school colors. With the bright and neon color trend sweeping the nation in sports, Speedo has gotten on board and has a fun and exciting option for swim teams to wear during their competition. Just imagine your team matching in these modern swimsuits. Are you wondering if you can add custom logos for swims teams? Of course you can! Your team’s logo, matched with your team colors, is the perfect combination to unite your team as one. The widespread demand for eco-friendly products hasn’t gotten past Speedo. Even the number one swimwear brand has made a commitment to our environment’s health. Speedo Burst Jammers are made with PowerFLEX Eco fabri, designed and created with only 100 percent pre- and post-consumer waste. That is correct, Speedo uses only waste nylon yarn to create these incredible new swimsuits. Not only are you getting your team new competitive swimwear they will be chomping at the bit to wear, but you will be contributing to saving the earth’s well-being, even if it seems small in scale. The choice is clear for the upcoming 2016 swim season. Jammer competitive swimsuits are the most popular and sought-after swimwear your team can get. Suit your team up for a championship season this year, with all the fun and comfort Speedo has to offer. Contact D&J Sports today for competitive swimwear in Dallas, Texas! Order swim team suits before the summer season. It may be winter, but it’s never too early to start thinking about the summer swim season. In fact, if you wait until much closer to the season, you could find ordering customized swimwear comes with a longer wait time. For this reason, it’s time to start looking at swim team suits so your whole team is ready to hit the pool as soon as the weather gets warmer. One of the most important things to look for when ordering customized swimwear is the variety available. The earlier you start looking, the greater the chances your top choices will be available in the colors and quantities you need to outfit your entire team. Imagine logging in to order your swim team suits only to find they are sold out of a specific size in your team colors. You will be forced to either choose a different style or select an alternate color. However, if you start thinking about ordering now, chances are you will get just what you want. While some teams choose to allow their swimmers to select their own competitive swimwear, as long as they are in the team colors, others want to unify their team by purchasing suits in the same style and colors from one provider. If you choose this route, you may want to further customize the swimwear by adding an embroidered or screen printed logo or your team name. This can take time, but if you wait until the spring when everyone else is placing their orders, your order will join a long list of others, extending the length of time it will take before your swimmers get their new suits. Ordering in the winter will ensure your provider isn’t busy with many other orders. It can be difficult to think about the warm summer months when you’ll be spending a lot of time in the pool, both in training and competing. However, now is the perfect time to start shopping for customized swimwear. Ordering your swim team suits now will ensure what you want for your team is available in the right quantities and you can get your customized order completed more quickly. If you’re looking for a provider for your custom swim team suits, contact us. 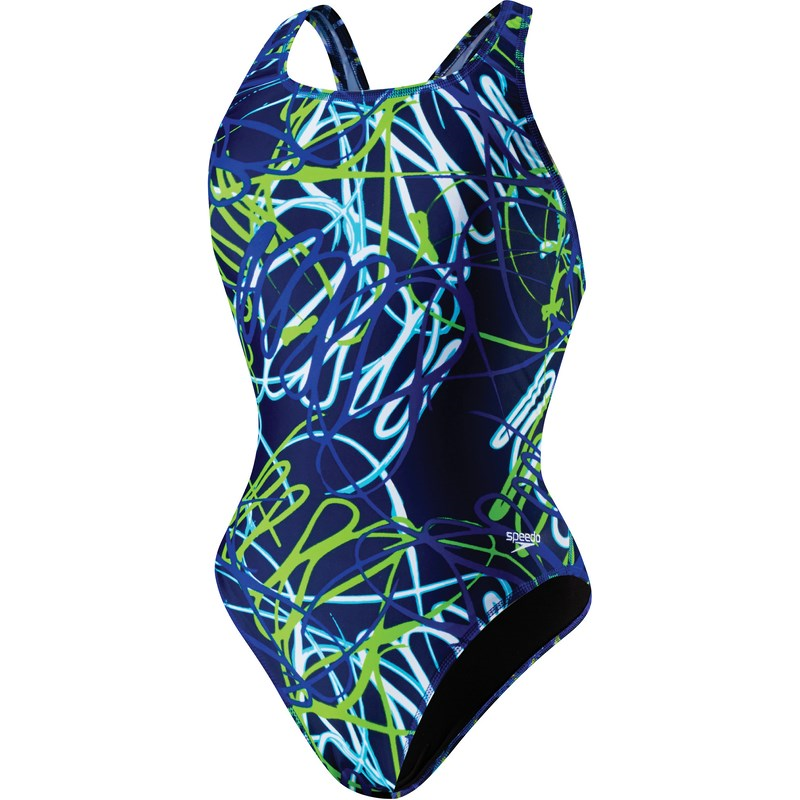 DJSports.com carries a vast selection of swimwear, all of which is fully customizable to best meet your team’s needs. Swim team suits can help your team achieve their goals. The fall and winter swim season is filled with high school and club competitions. From swim team suits to swim team towels, teams often purchase items that match and promote a sense of unity for the team. Whether you choose Arena swimwear for your team or you consider a different brand, it’s important for the entire team to share the same goals. This will increases the chances of a successful outcome. In many situations, conflict is bound to arise when it comes to what’s best for the athletes. While many swimmers want to focus on their own successes, it’s important to look at the best way to build the team and its success. For instance, if a swimmer isn’t the strongest link in the relay team, the coach may decide to place that swimmer earlier in the race or pull him altogether. Regardless of the decision, it should be made with the best interest of the swimmer and the team as a whole, rather than what an athlete thinks is best. A sense of team spirit can go a long way toward encouraging support among team members. This is why many high school and club teams dress alike with swim team suits and swim team towels. In addition to using these methods of creating unity, it’s also important for team members to share the goal of supporting each other, regardless of the outcome of every race. This supportive environment encourages everyone to try their hardest to surpass their personal goals. Anyone who wants to be successful in swimming needs to work hard to achieve their goals. At the beginning of every season, swimmers and their coaches should get together to set training goals for the entire team, as well as for the individual swimmers. Every swimmer on the team has to dedicate himself to training hard to achieve those goals set at the beginning of the year. As you prepare for the high school or club swim season, it’s important for everyone to be on the same page. Ordering matching swim team suits and swim team towels is just the beginning. It’s also necessary to understand all decisions will be made with the athletes’ best interests in mind. Likewise, the team should be dedicated to training hard and supporting each other in their endeavors. If you are looking for swim team suits, such as Arena swimwear, for your team season, contact us. We can help you choose the right suits to best outfit your entire team. Choosing a swim team suit provides your team with a unified look. When you take to the pool this summer for your league, you need swim team suits to unite your team in and out of the water. Choosing a suit for your entire team allows you to select a style that works best for everyone, as well as colors. You can even customize them to fit your team. 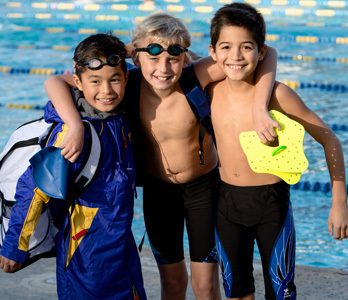 As you consider your options, whether for a YMCA league, a school or any other type of league, you will find a great selection of swimwear that is ideal for your swim team. When you choose the right swimwear for your swim team, you will find a number of styles and colors from many of the top name brands in swimming. However, even if you choose the right colors in a style that is right for your league team, you may find that other teams have the same swimwear. Customizing your swim team suits with your team logo or team name embroidered directly on the swimwear allows you to set your team apart from all the others. As you consider the different swim team suits that are available for your league team, you will be able to purchase them in bulk so you can save money. Because competitive swimwear often wears out quickly and needs to be replaced, the ability to save money because you purchase them in bulk is helpful for your swimmers and their families. The more swimsuits you purchase at once, the lower the price you will pay. If you have long-term swimmers on your team, consider purchasing more than one suit per team member to further your savings. Swim teams need more than just swim team suits to compete well. While many swim teams require their swimmers to purchase their own swim gear. When you purchase your swimwear from a dealer, you will be able to purchase accompanying swim gear that also matches your team colors and creates a sense of unity for your team. Swim team suits are an essential element to creating a look and feel of unity for your team. Whether you are part of a YMCA league or any other type of team, you need to find swim team suits in a color and style that best meets your team members’ needs. As you shop for these suits, you will also be able to customize them, lower your costs by buying in bulk and purchasing any accompanying swim gear at the same time. If you are looking for the best selection of swim team suits from the biggest names in swimming, contact us. We carry swim suits in a variety of colors and styles to provide you with the right option. The Speedo Sprint Splice Free Back makes an excellent swim team suit. When you are choosing your competitive swimwear, you need to find an option that will best meet your needs and provide you with the flexibility and support you need to move more effectively through the water. If you are part of a team, you will also need to find a swim team suit that will work best for your entire team. The Speedo Powerplus Sprint Splice Free Back suit is one of the best Speedo team suits that is on the market. As you shop for the right swim team suit, you will need to find one that offers all the best features that will complement the abilities of the swimmers who wear them. For instance, this Speedo team suit offers the compression individuals need without causing restriction in their movement. The way this suit fits will give swimmers the comfort they desire, as well as increase their power and allow for more fluid motion to help them move more effectively through the water. The Free Back design also provides free range of motion for even better results. The makeup of this Speedo team suit gives individual swimmers all these advantages and so many more. The Nylon/Lycra fabric from which this suit is made is 50 percent lighter than many of the other swim team suits on the market. The suit also resists piling and keeps its shape, regardless of the number of times you wear it. This makes it a great option for those who swim often. If you decide the Speedo Powerplus Sprint Splice Free Back swim team suit is the right option for you, you will find it is available in several colors. The suit comes in combinations of black and one of four other colors, including sapphire, yellow, green and true red. Choose the one that reflects your team colors or your favorite if you aren’t part of a team. Finding the right swim team suit can mean all the difference in your success in the water. There are many variations that are available, each of which offers its own benefits. The Speedo Powerplus Sprint Splice Free Back suit offers the right compression, range of motion and less drag, all while offering a lighter material that will help you be the best swimmer you can be. If you would like more information on finding the right swim team suit, contact us for help!